Today, Mars Express established a communication link with NASA’s Curiosity rover (MSL) on the surface of Mars to conduct an important test prior to the arrival of ESA’s ExoMars Trace Gas Orbiter (TGO), carrying the the ExoMars Entry, Descent and Landing Demonstrator Module (EDM), Schiaparelli, in October. 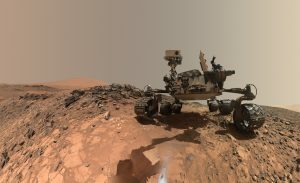 The test saw Curiosity serve as a stand-in (rove-in?) for Schiaparelli on the surface, transmitting a signal to MEX similar to how Schiaparelli will transmit during landing on 19 October. From orbit above, MEX had its lander communication system (Melacom) – with recently updated software – configured as it will be in October, and the orbiter tested receiving signals from below. Here’s the timeline of how today’s test went, as programmed; all commands were uploaded in advance and the sequence was executed automatically on board (times in UTC). 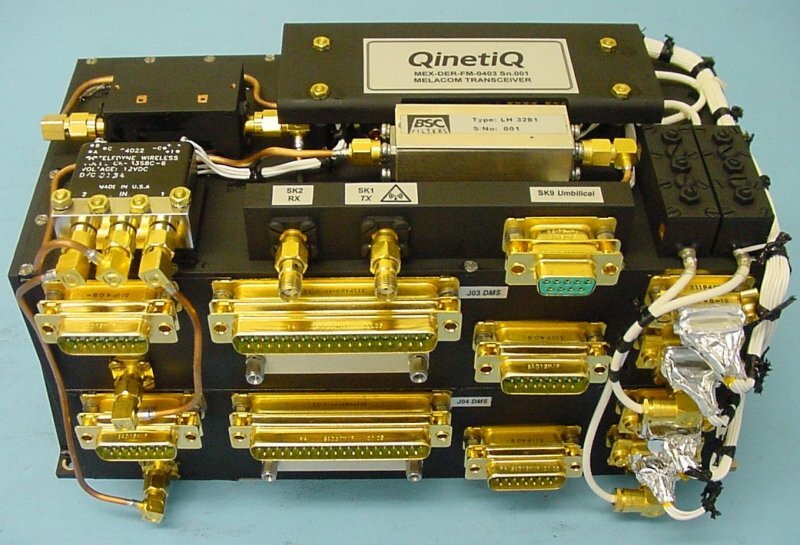 A photo of the Melacom UHF communications package carried on Mars Express. On 19 October, about 80 minutes before landing, expected at 14:48 GMT (16:48 CEST), Schiaparelli will wake up and a few minutes later begin transmitting a beacon signal (Schiaparelli will have se4parated from the ExoMars/TGO orbiter on 16 October). Mars Express will already have pointed Melacom’s small antenna to the spot above the planet where Schiaparelli will appear, and will begin recording the beacon signal, ‘slewing’ – rotating – continuously so as to keep its antenna pointed to follow the module’s descent trajectory. “Recording will continue through touch-down and the first approximately fifteen minutes of surface operation, after which Schiaparelli will be programmed to switch off and Mars Express will stop recording,” says Mars Express Spacecraft Operations Engineer Simon Wood. The Schiaparelli signal data will be saved on board Mars Express in two segments; the first, larger, segment will record signals from wake up of the module until about 20 minutes before it reaches the Martian atmosphere, while the second, smaller, segment will record the descent through the atmosphere, touch down and the first 15 minutes of surface operations. “Then, Mars Express will re-orient its main antenna toward Earth and download the second, smaller segment of recorded data, which should contain the first in-situ confirmation from Mars of Schiaparelli’s arrival and landing,” says Simon. The data will be received via ESA’s Cebreros deep-space ground station, in Spain, by the Mars Express flight control team at ESOC, ESA’s mission control centre in Darmstadt, Germany, and then passed on to the ExoMars mission controllers. 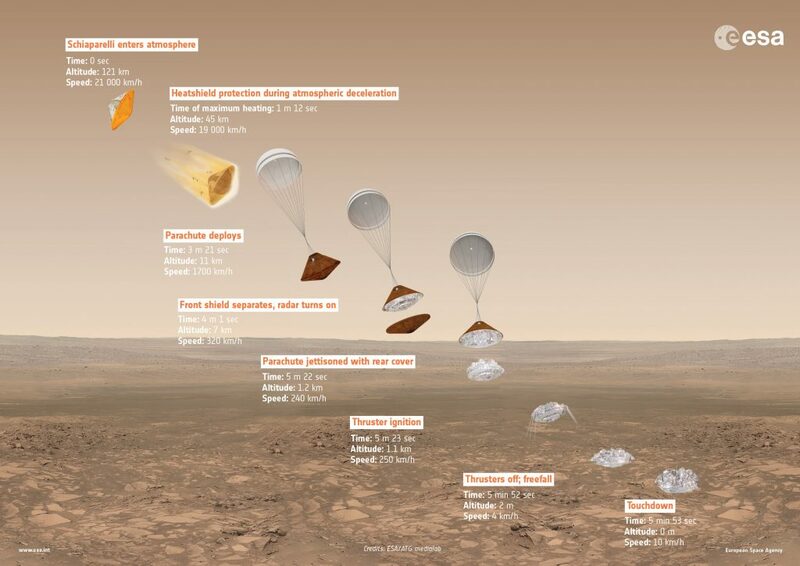 Mars Express won’t be the only ‘set of ears’ listening in to Schiaparelli’s descent that day. At Mars, NASA’s Mars Reconnaissance Orbiter (MRO) will monitor signals from Schiaparelli, but only after its landing, due to MRO’s orbital geometry. The TGO orbiter, while conducting its own critical orbit entry manoeuvre, will also record Schiaparelli’s descent and landing, but this data can only be downloaded some hours after it has completed orbit entry. In the following days, Mars Express and MRO – as well as the other NASA Mars orbiters, Odyssey and MAVEN – will each serve as data-relay platforms, overflying Schiaparelli’s landing site in Meridiani Planum once or twice per day, picking up data transmitted from the lander during its nominal two- to four-day surface science mission, and relaying these to Earth. 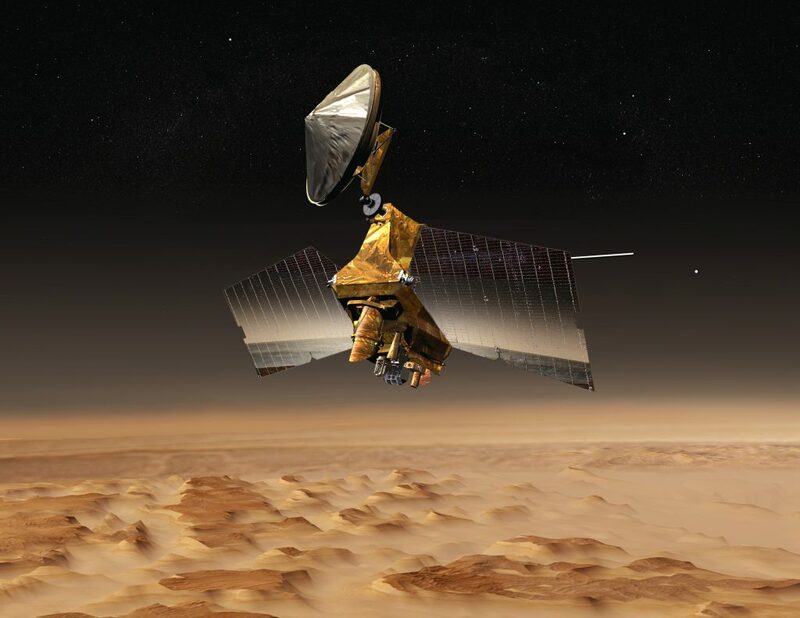 Mars Express will also support the Schiaparelli mission through remote sensing measurements over the landing site during several weeks prior to the event.